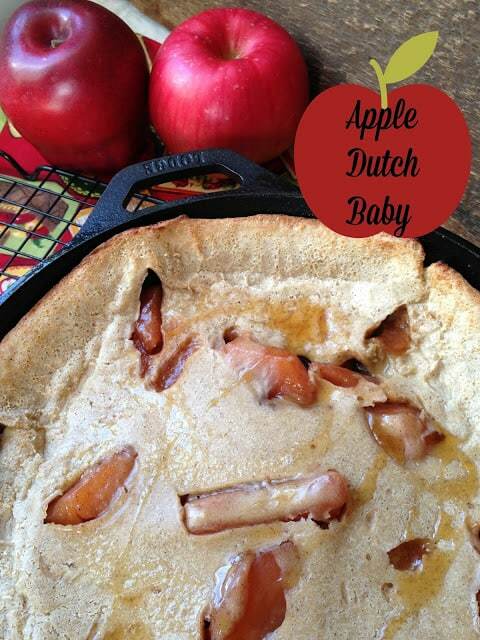 Apple Fest Week continues with a favorite of ours, Apple Dutch Baby. 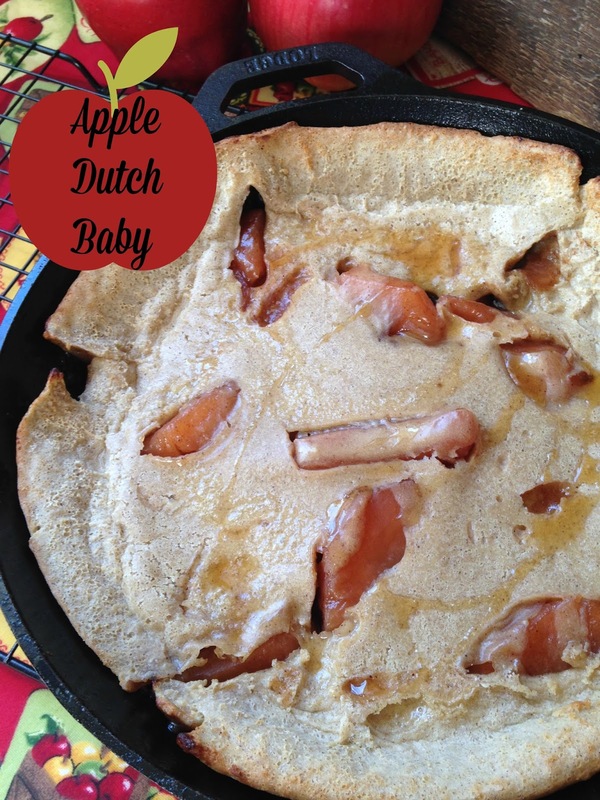 Dutch babies are sometimes called German pancakes. Any pancake baked in the oven in a cast iron skillet is usually called a Dutch baby or German pancake. 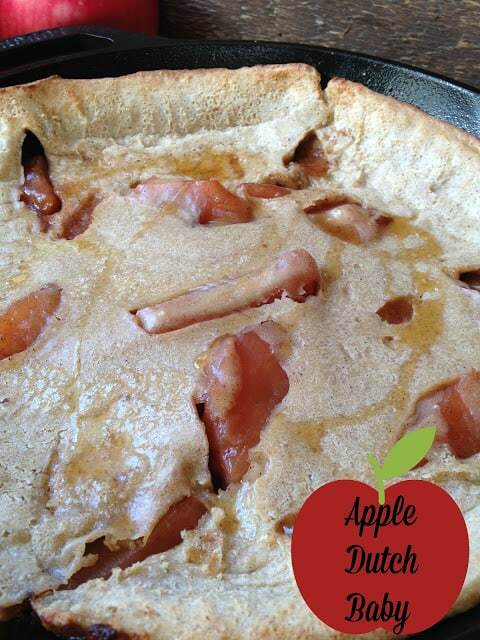 They can be served with butter, maple syrup or even applesauce. Durch babies can be made with any fruit or with add bacon, sausage or ham. As one of humankind’s oldest forms of bread, the versatile pancake has hundreds of variations and is served for breakfast, lunch and dinner and as appetizers, entrées and desserts. Pancakes begin as a batter that is poured into rounds, either on a griddle or in a skillet. The batter can be poured into a cast iron or oven-proof skillet. The pancakes are then cooked over high-heat or in an oven. These round cakes vary in thickness from the wafer-thin French crepes, to the much thicker American breakfast pancake, also called hotcake, griddlecakes, and flapjack. Many countries have specialty pancakes such as Hungarian Palacsinta, Russian Blini and Swedish pancake. Whisk eggs, milk, flour, vanilla, salt and cinnamon in a medium bowl until smooth. Heat a 10″ cast iron skillet in the oven until very hot, 8 to 10 minutes. Place apple pie filling in a medium glass bowl. Heat in the microwave on high for 60 seconds. Stir. Remove cast iron skillet from oven. Carefully add butter to skillet, tilting to coat bottom and sides of cast iron skillet. 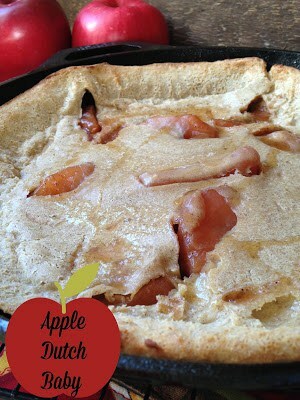 Add apple pie filling to center of skillet, pour batter over apple pie filling. Bake until pancake is puffed and golden brown around the edges and center is set but still has a custard-like consistency, about 12 to 15 minutes.